Every steel structure is bespoke, as every building is unique. The things that make every project different are the number of storeys to be supported, the spans, any existing layout that needs to be considered as well as the new layout you are looking to achieve. Despite these differences, some structures have similar designs and functions, and this fact has allowed us to use our extensive experience and knowledge to develop a full set of templates for each structure shown below. 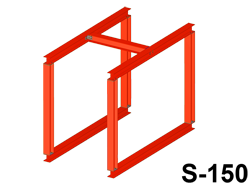 A box frame is a four member structure, which comprises of a ground beam, two columns and a top beam. 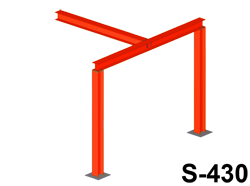 This structure is used to support the building where a wall has been removed and allows the load to be transferred through the columns to the bottom beam and foundation. 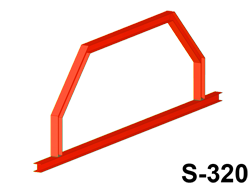 In some cases a box frame needs to be used if there is no party wall agreement in place and a structural beam may not be supported off a party wall. This structure is often used in rear extensions where the cross beam replaces a side wall of the existing building. 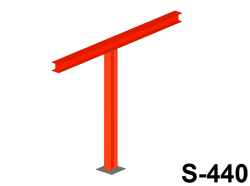 A post is added when there is no load bearing wall to support the end of the beam and the load needs to be transferred to the foundation. 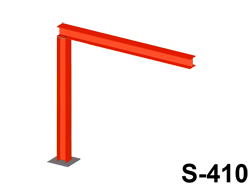 When loads are high, a bottom beam is required to spread the load onto the foundations. 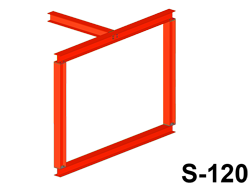 This structure is used when two parallel walls are removed and a perpendicular wall needs supporting. Sometimes the cross beam is used to support a chimney breast. When a wall is removed and the new layout does not allow for a column against a wall, for example in a corridor, then one of the columns can be moved towards the centre with this configuration. 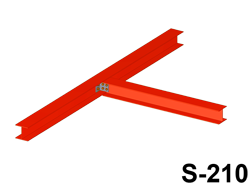 A cross beam is a structure comprising of two members connected at right angles. This structure is an acceptable alternative for the ‘Gallow brackets’ that are used to support a chimney breast. The parallel beams span the room on both sides of the chimney, and the cross beam supports the chimney itself. Quite often a top plate is added to this beam in order to spread the support across the entire area of the chimney. 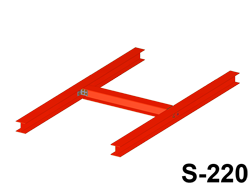 Often loft conversions and new garages require a cranked beam with a cross member that supports the roof joists. 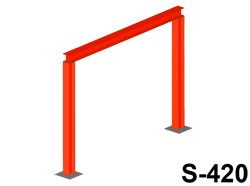 An ‘apex’ is a double cranked beam, which is supported from a main beam. 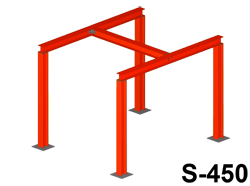 This structure is used when adding an additional floor to an existing building. 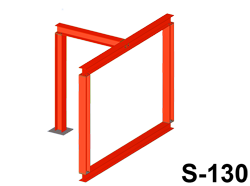 This combination is used when one end of a beam is supported by a load bearing wall, but the other end is not. The post provides the necessary support in this type of situation. A ‘goalpost’ comprises two columns and a top beam, creating a goal shaped structure. 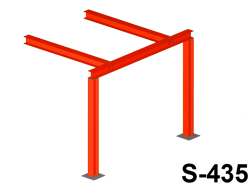 This configuration of beams is used when there are no load bearing walls to support the ends of the beam. It can also be used if there is no party wall agreement in place. 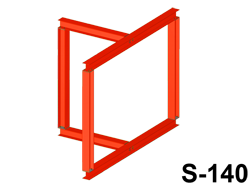 In the same vein as the ‘box frame with cross beam’ configuration, this structure is used for rear extensions. 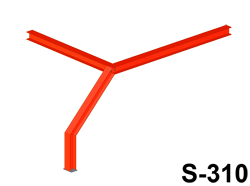 This type of structure is used when two perpendicular walls need to be supported, or if the floor span is too high and needs intermediate supports. 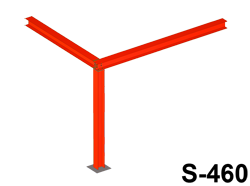 When the span of the beam is too high for the beam’s load capabilities, it needs to be supported by a post. 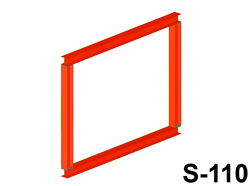 The position of the post is determined by the location of windows, doors or another wall. 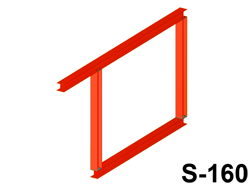 Just like the ‘two box frames with cross beam’ structure, this configuration is used when two parallel walls are removed and a perpendicular wall needs supporting. Sometimes the cross beam can be used to support a chimney breast.